Just so you understand, we do not take our recommendations lightly. We truly want to review and recommend only the best usa online sports betting options to our visitors. Being sports gamblers ourselves, we understand what players are looking for and know which online sportsbooks can deliver the best player experience. Legitimate certification and licensing, more than two decades of online gambling experience and legal U.S.A. support. 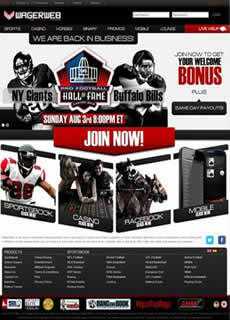 Those are the cornerstones of the most popular Internet sports betting site that honors players from the United States. Bovada also delivers wagering opportunities on politics and entertainment, and as we point out in our extensive review, you benefit from the consistently delivered "better than Vegas" betting lines. For an in-depth explanation of the features and benefits that make Bovada such a first-class operation, head over to our dedicated Bovada review page. Or read some of the main benefits of playing at Bovada in our checkpoint list below. 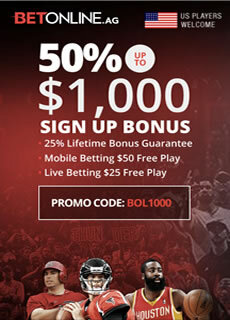 From a lifetime 25% deposit bonus to a 50% signup bonus up to $1,000 for all new account holders, BetOnline does a lot of things that inferior online bookmakers simply can't. 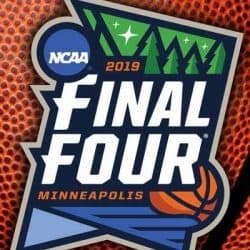 They also provide parlay sports bets with more than two dozen teams, insured withdrawal delivery and a $50 free mobile bet. Below are some quick points that might help you make a decision on playing here. Or read our comprehensive, benefit-by-benefit analysis of this world class betting site in our review. 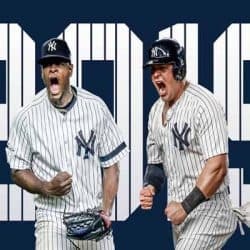 MyBookie has quickly made a name for itself as one of the USA's best online sportsbooks by offering a plethora of current, competitive, and entertaining betting lines from every sport imaginable. 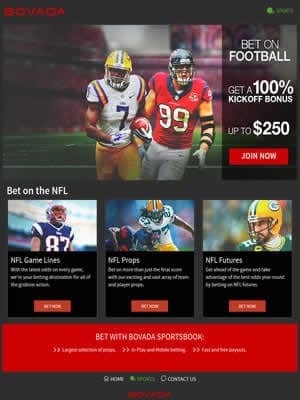 Paired with many great bonus options and a 3 tier rewards program, MyBookie is one of the most reliable and trusted licensed sportsbooks available to American residents. 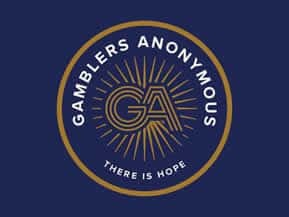 We have provided a link to our full review below that goes in-depth with the current banking options, bonus options, and other services offered by MyBookie. When BetOnline purchased Sportsbetting.ag, the parent company's generous lifetime 25% reload on all deposits instantly made that website notable. There are also a half dozen different bonuses that you can claim, safe and secure banking options, an attractive and easy to use mobile interface and a free $25 live in-game wager offered to new accounts. 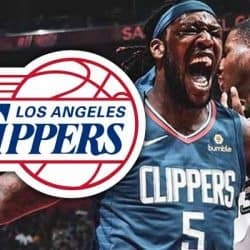 While our detailed review covers everything, below are a few quick points highlighting why sportsbetting.ag is a premier online sportsbook for USA players. BookMaker exists as the leading Internet sportsbook arm of the BetCRIS gaming family. That company has been offering world-class gambling options since 1985. Financial backing is strong, legal US support has been established, and a lifetime reload bonus is offered to all account holders. Convenient credit card account funding is attractive, and there are alternate banking methods available as well. We list a few reasons why US players love playing at Bookmaker, or read our complete and exhaustive checkup at our Bookmaker review page. WagerWeb has two decades plus of delivering internet gambling options to US and international sports bettors, a generous Refer-a-Friend bonus system, and guarantees 24-hour payment processing, as well as many more attractive sports betting features. They are a decent site although we feel playing at some of the bigger names in the industry such as Bovada or Betonline is a better choice. 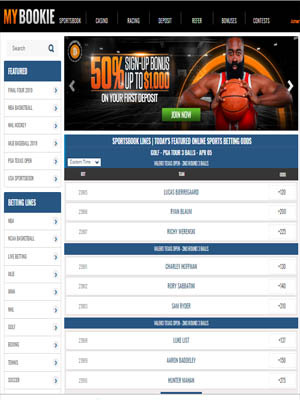 We've alluded to some of the important criteria we use to compare the highest rated sportsbooks for American players in other sections of our site. Impeccable integrity and legal licensing is extremely important. After all, you want to know that you can legitimately and dependably place a bet, and then get paid in a timely manner when you win. You also want speedy bet placement confirmation, the best mobile sports betting platform possible, safe and secure software which protects your personal and financial information, and great welcome bonuses and other benefits. Each of the companies which made our very short list of the most trusted USA online sports betting sites has all of these things in common. 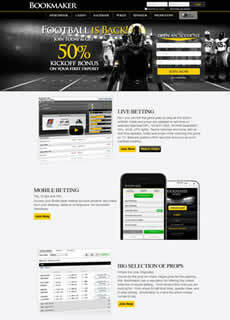 But they also boast years of online sports betting experience as leaders in that marketplace. 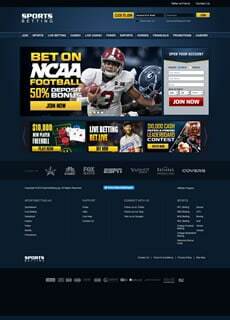 And each one of the USA online sportsbooks we review benefit from substantial financial backing. The customer support teams are accessible a number of ways and any time night or day, multiple traditional and alternative banking methods are offered, and you can bet sports, entertainment and even politics at these versatile U.S. online sportsbooks. As we have mentioned before, we are sports gamblers ourselves, as well as respected industry analysts. We know what demanding sports bettors want. 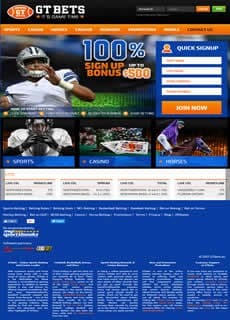 And we stake our hard-earned reputation on the quality of only the following seasoned sportsbook operators, which we feel deliver the best online sports betting experience for USA players.